This is an installation project of a 8 x 1,80 m wall built of 150 kg of soap bricks I made myself. 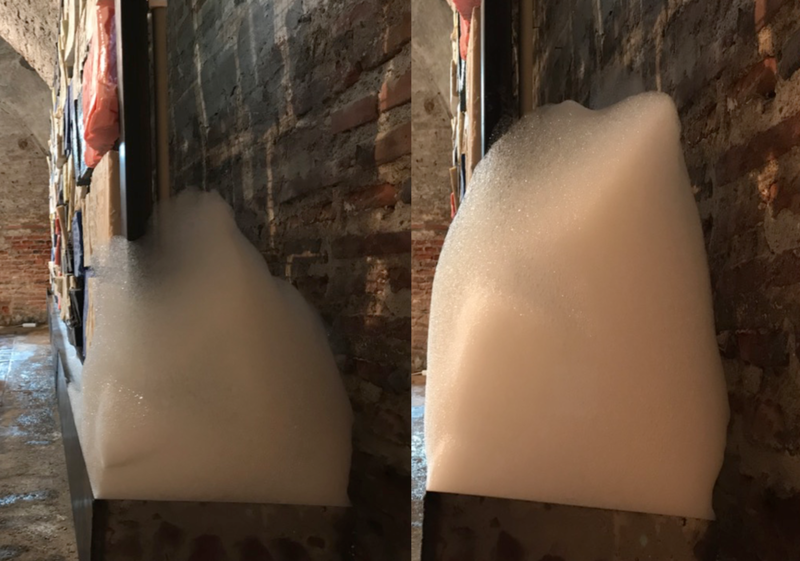 Water is running down the installation and is gradually melting the sculpture, creating plumes of bubbles at the bottom and across the room. This work reflects on the private history of Princess Martha Bibescu as accessed through her diaries; the real thoughts and emotions she experienced during her life, which are also the thoughts lost in the official historical record of events. The piece used a very feminine metaphor of soap, the toilette, bubbles and the boudoir to consider the masculine control over the historical discourse and the perishability of the female historical perspective. 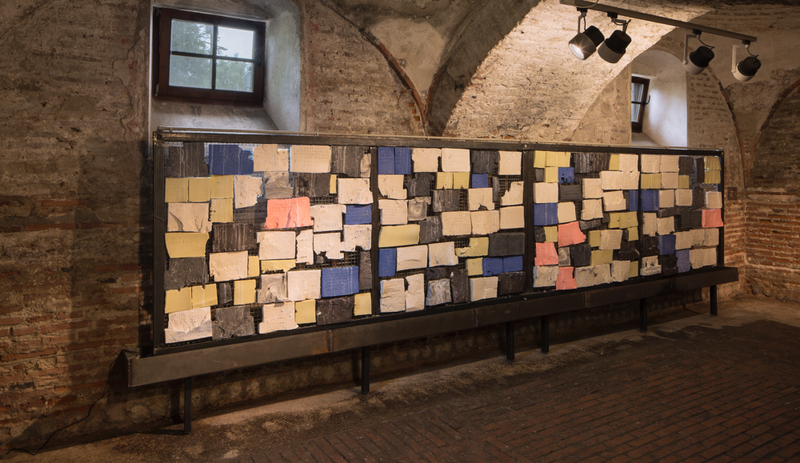 Each soap contains fragments of text from the diaries, which will gradually disappear over the period of the installation. At the end, nothing is left but the metal structure that held them and the bubbles that they have created which act in counterpoint to one another as metaphors of power and frivolity.